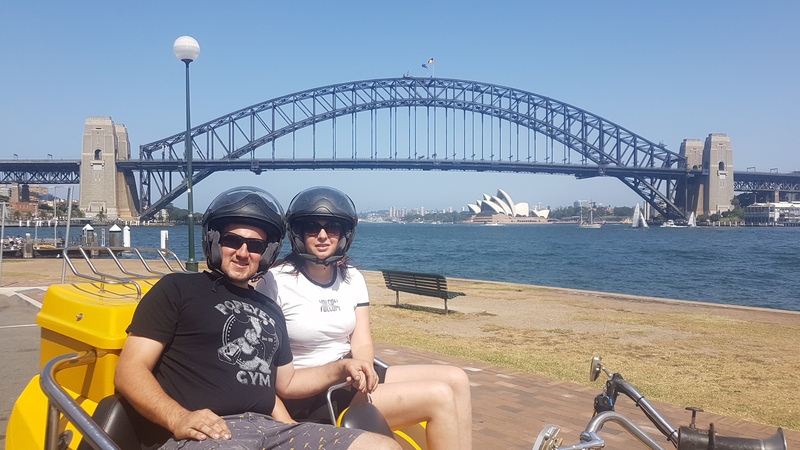 A Harbour Bridge trike experience was organised for our passengers. It was a ‘last minute’ decision of theirs to do such a fun experience. 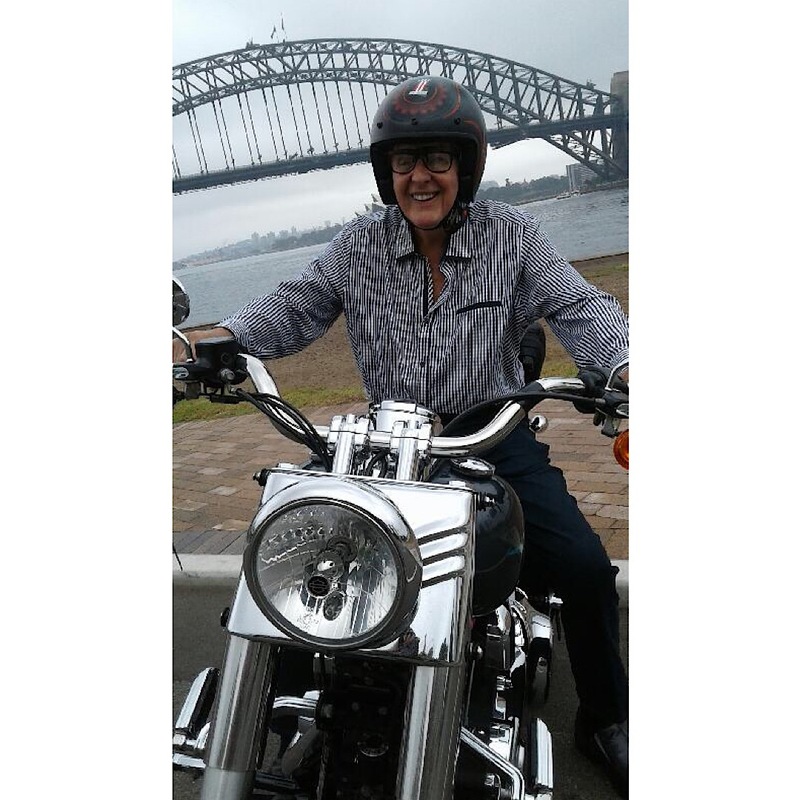 Craig picked them up from their hotel and rode them through the city and over the Sydney Harbour Bridge. They stopped at McMahons Point for photos and to see the lovely view across Sydney Harbour to the Opera House. It really is a beautiful city. Craig then took them back over the bridge to their hotel. 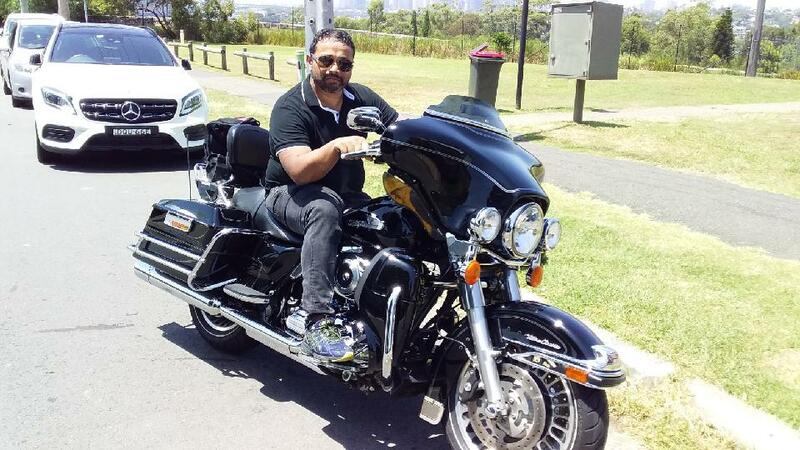 They had such a great Harbour Bridge trike ride, it really was a memorable experience. The Sydney Opera House is a modern expressionist design, with a series of large precast concrete “shells”, each composed of sections of a sphere of 75.2 metres (246 ft 8.6 in) radius, forming the roofs of the structure, set on a monumental podium. The building covers 1.8 hectares (4.4 acres) of land and is 183 m (600 ft) long and 120 m (394 ft) wide at its widest point. It is supported on 588 concrete piers sunk as much as 25 m (82 ft) below sea level. Although the roof structures are commonly referred to as “shells” they are precast concrete panels supported by precast concrete ribs, not shells in a strictly structural sense. Though the shells appear uniformly white from a distance, they actually feature a subtle chevron pattern composed of 1,056,006 tiles in two colours: glossy white and matte cream. The tiles were manufactured by the Swedish company Höganäs AB which generally produced stoneware tiles for the paper-mill industry. Apart from the tile of the shells and the glass curtain walls of the foyer spaces, the building’s exterior is largely clad with aggregate panels composed of pink granite quarried at Tarana, Central West NSW. Significant interior surface treatments also include off-form concrete, Australian white birch plywood supplied from Wauchope in northern New South Wales, and brush box glulam.